Carnival Games, Booths, Popcorn machines, Inflatables Games Rentals, DJ's Service, Caricature Artist, Bounce house rentals, Event staffing, Bartenders, Waitstaff, Casino dealer for hire, Photobooth rentals, Event planner checklist, Non- Profit Fund-raisers. HOW MANY TABLES SHOULD I HAVE? 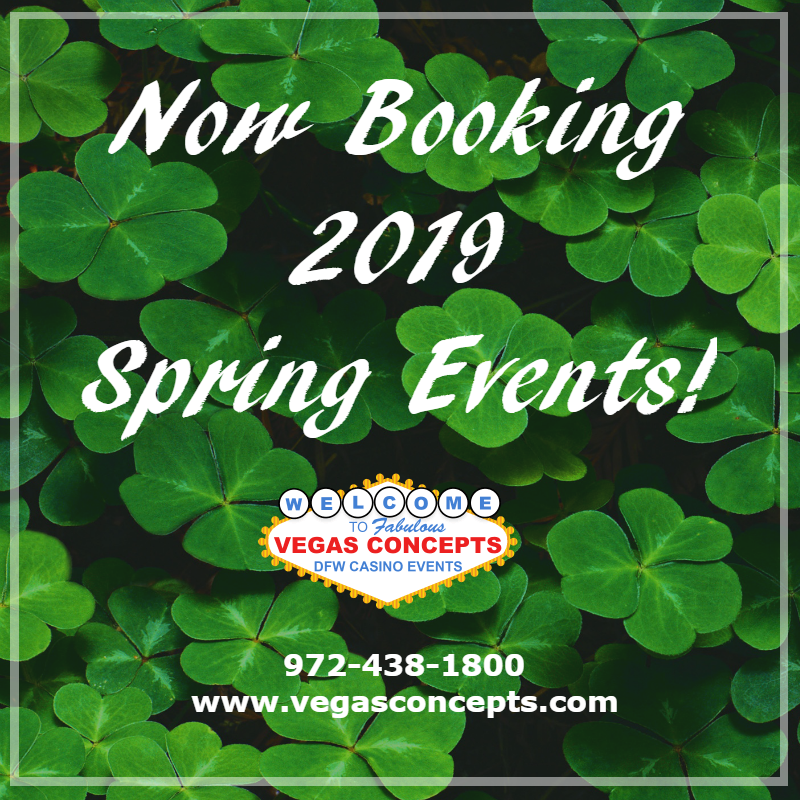 Vegas Concepts has a formula for determining the optimal number of tables it takes to accommodate the size of your event and venue. We have found over the years that a seat for everyone in the casino is not necessary, as some will choose not to participate. Let us know if you are planning on including other activities such as dancing, silent auctions, photo stations, etc., as this will affect the number of tables needed. The cost is based on a number of different factors, including the number of tables needed, length of the event, and whether it is located within the DFW Metroplex. Once we have all the necessary information, we can provide you with a free quote. 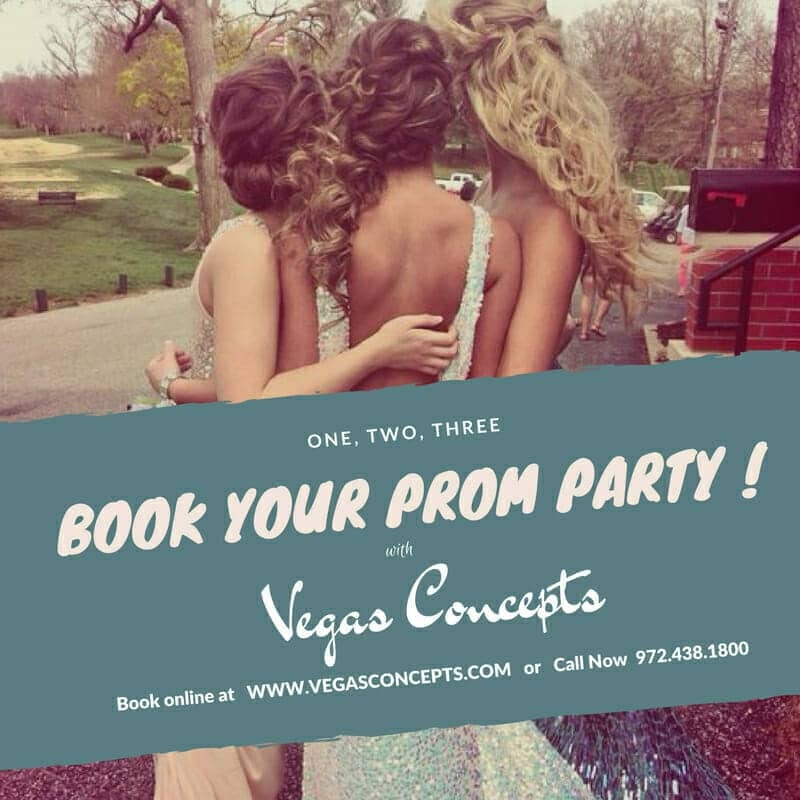 DO YOU DO PROM AND GRADUATION PARTIES? I AM CONCERNED ABOUT STUDENT SAFETY. Yes, we do. We plan several student-centered events every year, such as graduation, prom, and lock-ins. All of our staff members have been thoroughly screened and have passed criminal background checks. We are also prepared to pass a breathalyzer test when we enter the event. Our number one priority is for students to have a safe and fun time at our event. DO YOU HAVE DECORATIONS AND LIGHTING? Yes. We provide props and rental ideas to make your next party spectacular. We can customize your event any way you choose. Fundraisers Check-List "How to host a Casino Night Fundraiser." Ask your event director for VCI Fundraising check-list. VCI has hosted the most profitable and successful gala's in DFW. Don't take a risk with your next event. Place your bet with Vegas Concepts.